With the new year comes a new set of goals. Improve my eating habits, become more active, and learn to make better choices when it comes to food. A happy and healthy life is based on balance. Adequate carbohydrate vs protein intake has always been my biggest struggle so when the people behind The National Milk Mustache “got milk?” Campaign contacted me to become a spokesperson I couldn't say no. In full disclosure I'm the type of person who drinks milk everyday so the opportunity to document my journey, promote my love for milk and engage in a discussion about developing a healthy eating plan with my readers really excites me. The National Milk Campaign has paired me with registered dietitian Carolyn O’Neil, MS RD, author of The Slim Down South Cookbook: Eating Well and Living Healthy in the Land of Biscuits and Bacon. 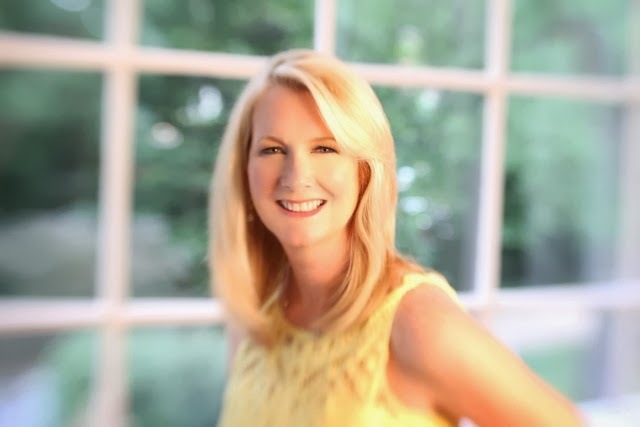 She is well-known by media and has experience working with Fox Atlanta broadcast news, Atlanta Journal-Constitution and other outlets. She has contributed her nutrition and culinary connections to MilkPEP on multiple occasions. Starting the day with a good breakfast that includes milk can give us a good dose of energy. Unfortunately, many people neglect drinking milk in the morning. Why do think so many people choose sugary, or empty calorie drinks over milk? Certainly one of the most popular beverages in the morning is a cup of coffee. Coffee gives you a lift from the caffeine and coffee does contain some antioxidants. But that’s about it. What a lot of folks don’t know is that when you make you cup of coffee a latte with steamed milk- you can up the nutrition significantly. A 16-ounce latte provides up to 40% of your daily calcium needs. 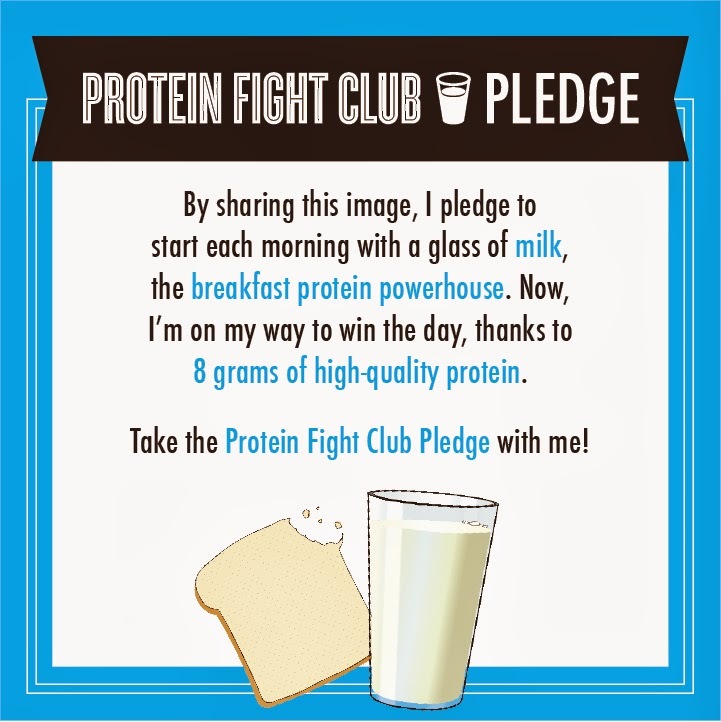 An eight-ounce glass of milk at breakfast time, or anytime, delivers 8 grams of protein- that’s more than an egg (6 grams protein). So whether you pour milk into a bowl of cereal, make your instant oatmeal with hot milk instead of water or enjoy it as a thirst quenching beverage with breakfast- think of milk as part of your launch pad program for a busy day ahead. Milk is one stop shopping for 9 essential nutrients including: protein, calcium, potassium, phosphorus, vitamin D, vitamin A, vitamin B12, and the B vitamins riboflavin and niacin. I have friends who rarely drink milk and can't seem to comprehend why I could possibly enjoy having a glass of milk during dinner. Why is drinking milk so important for children and adults? Milk is one stop shopping for so many health promoting nutrients. The nutrients (calcium, phosphorous, vitamin D and protein) in milk help support strong bones and teeth. Potassium in milk helps support healthy blood pressure control. Should people avoid drinking milk if they're concerned about maintaining their weight? Certainly when you’re trying to limit calories on a weight control diet, you need to trim the fat where you can in foods and beverages. So, I recommend choosing fat free or 1% milk. You get all of the 9 essential nutrients with fewer calories per cup. Also, the protein in milk-whether enjoyed as a beverage or used in a recipe- adds satisfaction to meals and helps keep you feeling fuller longer. How much protein does a milk serving have? 8 grams protein per 8 ounce class of milk. Plus it’s high quality protein that our bodies can more easily use to build and repair cells. Is it okay to drink chocolate flavored milk? I love chocolate milk. I choose low fat or fat free chocolate milk and what’s nice is that now many companies are making chocolate milk (and that includes chocolate milk for the National School Lunch program) with fewer grams of sugar per serving. I say, if the chocolate flavor makes drinking milk even more delicious- then yeah! If a person is lactose intolerant and is craving milk what can they do? About one in ten adults reports having a lactose intolerance and may experience symptoms such as gas, bloating or diarrhea. But most don’t realize that they can enjoy a small amount of milk with no symptoms. No two people are the same so they can start small and see how it’s tolerated. Lactose-free milk is another option and it’s real dairy, just without the lactose. It provides the same essential nutrients. How much milk would I have to drink a day to get my full RDA of calcium? What about kids? About three cups of milk per day for adults and four for children. Other dairy sources of calcium include cheese and yogurt. There are 300 mg of calcium in a cup of milk. In the protein fight video “Milk vs Orange Juice” why is it so important not to swap milk for orange juice? Both beverages are good choices when it comes to nutrition, but they’re not equal. OJ is a super source of vitamin C, of course but contains no protein or calcium. Milk provides 9 essential nutrients. I say drink your milk and enjoy sliced oranges or half of a grapefruit for breakfast too. Whole milk or skim milk? Which is a better choice and why? It’s important to limit our intake of saturated fats; and by choosing fat free ( skim ) milk or 1% milk- you’re reducing the amount of saturated fat in your diet while still enjoying great milk nutrition. What do you have to say to people who never drink milk? Is it to late to start? Try it in cooking such as making oatmeal with milk instead of water; enjoying frozen fruit whipped up in a blender with milk for a delicious smoothie. It’s never too late to start drinking milk and it’s a healthy addition to our diets as we age. The nutrients in milk have been shown to protect our bones from osteoporosis. Now that we are starting a new year many people (including myself) are looking for ways to eat healthier and loose weight. Can you give us some tips on how to manage those irresistible food craving urges? My new book, The Slim Down South Cookbook embraces the reality that we all want great tasting foods! But, with four smart principles you can enjoy foods that are fabulous and figure-friendly. S- Savor the flavors of all foods. A luscious peach or crunchy pecan is just as taste bud worthy as rich desserts or salty snack chips. L- Linger Longer. Be mindful of what you’re eating. Slow down a bit and relax with the foods you love to up the satisfaction factor and to avoid gobbling too much.